Palm Beach County is the third most populous county in the state of Florida with a population of 1,345,652 (year round). Located in Southeast Florida, the 2,000-square-mile region is the largest county southeast of the Mississippi River and is larger than two U.S. states- Rhode Island and Delaware. Palm Beach County has more golf courses than any other county in the country with more than 160 public and private golf courses – from executive to championship level – designed by the best names in the industry, and with something for golfers of every skill level. Palm Beach County consists of 38 cities and towns. The center of the county is approximately 60 miles north of Miami and 150 miles southeast of Orlando. The Atlantic Ocean touches the eastern half of the county with coastal and beach areas ranging for 47 miles from north to south. The Northwest part of the county includes Lake Okeechobee, the second largest freshwater lake in the United States. Palm Beach County contains more 1,000,000 square feet of meeting space and 16,000 rooms in more than 200 hotels – 18 with more than 5,000 square feet of space each. Western Palm Beach County leads the nation in the production of sugar and sweet corn. Eighteen percent of all sugar in the United States is produced here. Sugar cane covers some 400,000 acres or about one-third of the county’s overall land mass. Palm Beach County is home to more than 200 theaters, museums, arts centers, indoor and outdoor performance stages, and other cultural venues and is considered among the world’s most celebrated cultural destinations. In addition to its pristine beaches, Palm Beach County has 125 waterways perfectly suited for kayaking, boating, paddleboarding and every other imaginable water sport; Direct access to The Florida Everglades and its unique exploration via airboat tours and the best bass fishing in the 730 square miles of Lake Okeechobee. The Port of Palm Beach is the 4th busiest container port of Florida’s 15 deep water ports, and it is the 20th busiest container port in the United States. It is also the only South Florida port with on-dock rail. Five miles of port-owned track that is directly linked to the Florida East Coast Rail Company (FEC) and switches to the CSX and NFS. As the Winter Equestrian Capital of the World, the Winter Equestrian Festival in Wellington takes place every January through April, while the International Polo Club Palm Beach features high-goal competitions through the January-April. Palm Beach County School District is the fifth largest school district in Florida and 11th largest in the continental U.S.
Palm Beach County has more than 12,000 students enrolled in charter schools. 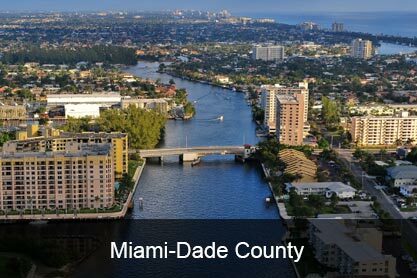 Miami-Dade County is a community of 2.5 million residents in 35 municipalities with 104 spoken languages. increased trade from Europe, Asia, and Africa. ranked among the top preferred destinations for international business travelers. States and a top destination for international travelers. plus multinational corporations operate here. 250 ports in 100 countries. among U.S. airports for international passengers. generating billions to the local economy. among the best beaches in the world. showcase and laboratory for emerging and developing cultural arts programs. Fourth largest school district in nation. Students are taught in 16 languages. 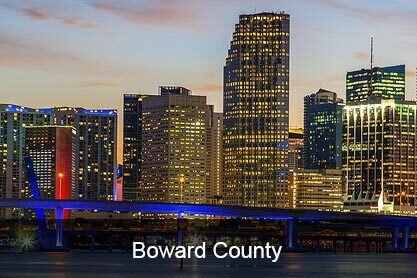 County has eight colleges and universities — including Miami-Dade Community College, nation’s largest community college. Live flowers importing capital of the US. Greater Fort Lauderdale encompasses all of Broward County, Florida, and includes 31 cities and municipalities (Coconut Creek, Cooper City, Coral Springs, Dania Beach, Davie, Deerfield Beach, Fort Lauderdale, Hallandale Beach, Hillsboro Beach, Hollywood, Lauderdale-By-The-Sea, Lauderhill, Lauderdale Lakes, Lazy Lake, Lighthouse Point, Margate, Miramar, North Lauderdale, Oakland Park, Parkland, Pembroke Park, Pembroke Pines, Plantation, Pompano Beach, Sea Ranch Lakes, Southwest Ranches, Sunrise, Tamarac, Weston, West Park Wilton Manors). More than 13.1 million people visit Greater Fort Lauderdale in 2013 spending $10.6 billion in the local economy. Twenty-three miles of Atlantic beaches (Hillsboro Beach Deerfield Beach, Pompano Beach, Lauderdale-By-The-Sea, Fort Lauderdale, Dania Beach, Hollywood, Hallandale Beach, each with their own personality) and 300-plus miles of Intracoastal Waterway and navigable inland canals make Greater Fort Lauderdale the “Venice of America” and yachting capital. Six beaches (Fort Lauderdale, Hollywood, Deerfield Beach, Pompano Beach, Dania Beach and Lauderdale-by-the-Sea) are Blue Wave Certified by the Clean Beaches Council. A dozen cruise lines sail 45 cruise ships from Port Everglades – carrying some 3.7 million people in 2012. Fort Lauderdale-Hollywood International Airport, which serves 21.4 million passengers each year, is building a six story-high, elevated runway expansion to traverse U.S. Highway 1 and the Florida East Coast Railway. In 1986, the city began a transformation process that changed Greater Fort Lauderdale from a spring-time college destination to a year-round, family-friendly retreat. The story of spring break’s history in Fort Lauderdale dates back to the 1930s – and its future is continually being told, retold – and refashioned. Some of the old haunts – from hotels to bars – still are open, with proprietors keen to retell the tales of Spring Break’s heyday in the 60’s, 70’s and 80’s. Success can be seen in the caliber of shops, restaurants and hotels along the beachfront. Your grandparents, parents – even you – might not recognize the Fort Lauderdale beach made famous by “Where the Boys Are.” Spring break has taken on a whole new appearance. Today, visitors include families and couples, meeting attendees and international travelers – and even a few college students. The arts and culture scene in Greater Fort Lauderdale has blossomed. Today it includes arts districts, festivals and a county-wide $100 million art in public spaces program. Florida has become the third most active gambling state in the U.S. Greater Fort Lauderdale is in many ways the epicenter of that activity. Pari-mutuel betting venues and free-standing casinos combine the excitement of traditional table games; slot machines; horse, dog and harness racing; jai-alai; simulcasting – and all the excitement that comes with them. The short list found in Greater Fort Lauderdale includes the Seminole Hard Rock Hotel & Casino Hollywood, Gulfstream Park, the Isle of Capri Casino and Pompano Park Racing, and the Mardi Gras Casino and Poker Room offer casinos, thoroughbreds, dog racing and race simulcasting. Jai-Alai (pronounced “Hi-Li”) in Dania Beach features the “world’s fastest sport” and a poker room. Sport Lauderdale. For generations, sports fans from South Florida and beyond have enjoyed their home teams here – no matter where their “home” may be. With representatives from every major professional sports league in town, there’s sure to be a tale to be told of the fun of a home-stand in South Florida. The BB&T Center takes on a dual personality of conflicting fan bases when Greater Fort Lauderdale’s own Florida Panthers welcome the Montreal Canadiens or New York Rangers to town. There’s nothing like the raucous time when the Dolphins host the New York Jets, the New England Patriots – or other AFC East rivals. The 2013 NBA world champions Miami Heat NBA franchise plays nearby in the American Airlines Arena – which fills with fans from rivals like the New Jersey Nets or New York Knicks when those teams travel south. Dive right in – the water’s better than fine. Just off Greater Fort Lauderdale’s 23 miles of clean, Blue Wave-certified sands is a three-tiered living coral reef system and more than 75 artificial reefs that have made this one of Florida’s most popular dive destinations. Snorkelers can swim a few hundred feet off shore (remember your buddy and dive flag) to reefs that begin at less 15 feet in depth in places like Lauderdale-By-The-Sea, just south of Anglin’s Pier at Commercial Boulevard; Greene Street, three blocks north of Hollywood’s North Beach Park; or John U. Lloyd Beach State Park in Dania Beach (click here to learn about more Greater Fort Lauderdale dive sites).